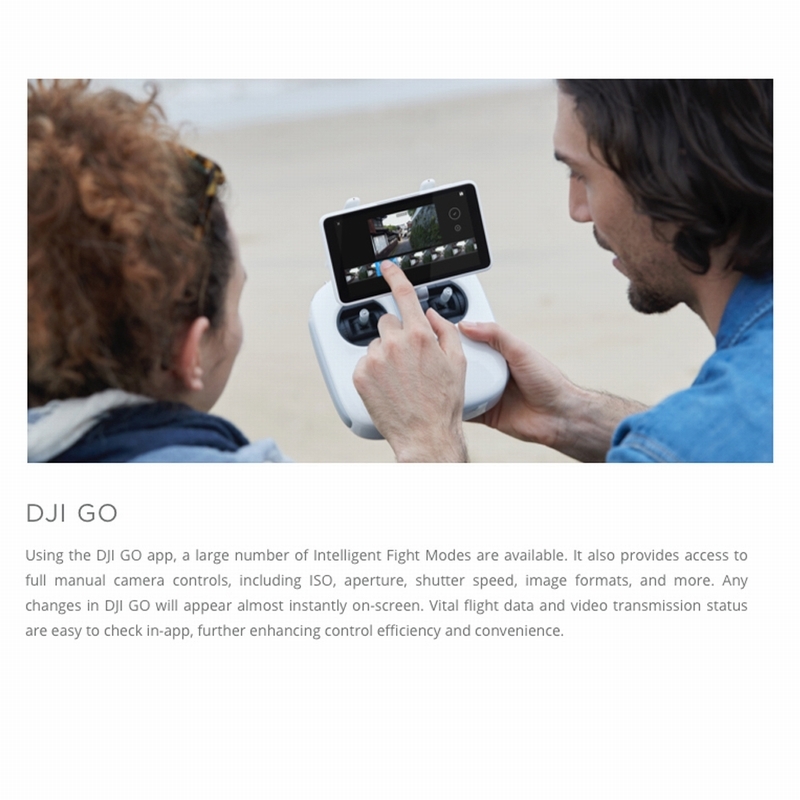 Phantom 4 Pro - Standard Remote Controller (RC) - AgCon Aerial Corp. 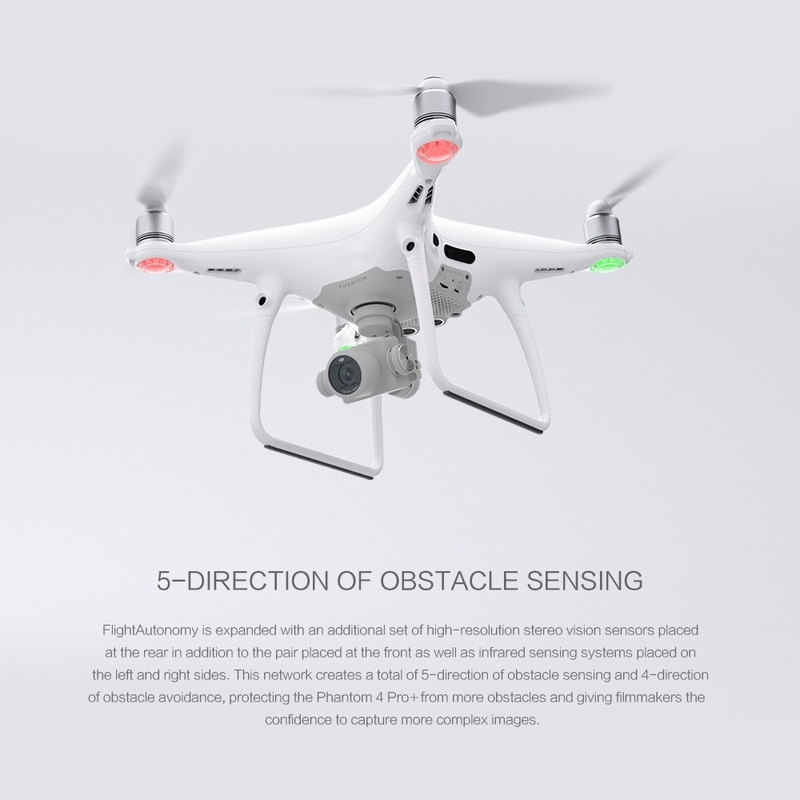 The Phantom 4 pro+ builds on the brilliant features of the Phantom 4. 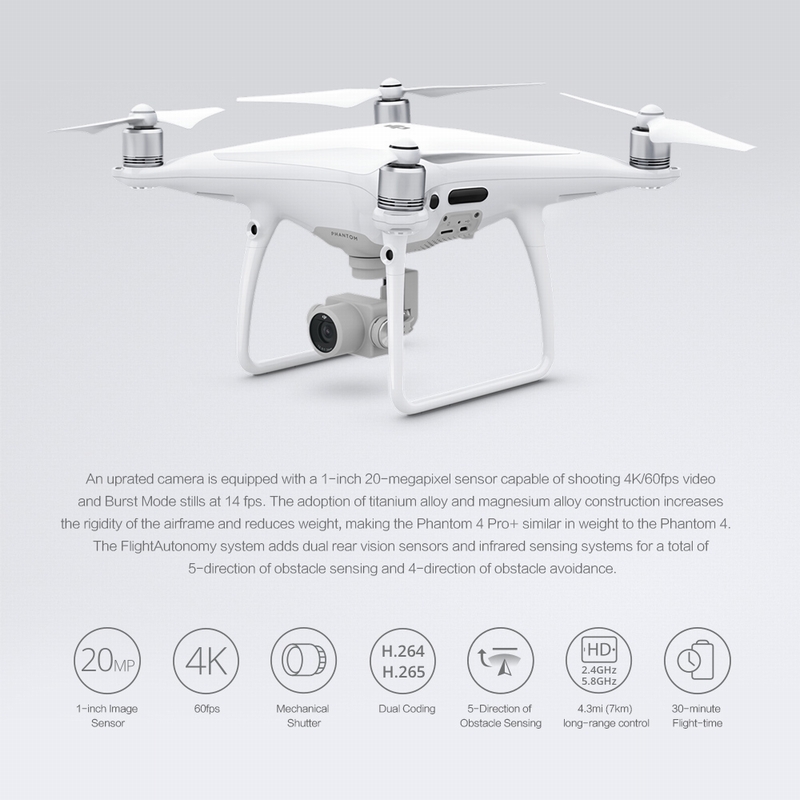 The Phantom 4 pro+’s camera is equipped with 1 inch 20MP sensor capable of shooting 4k/60fps video and burst mode stills at 14fps. 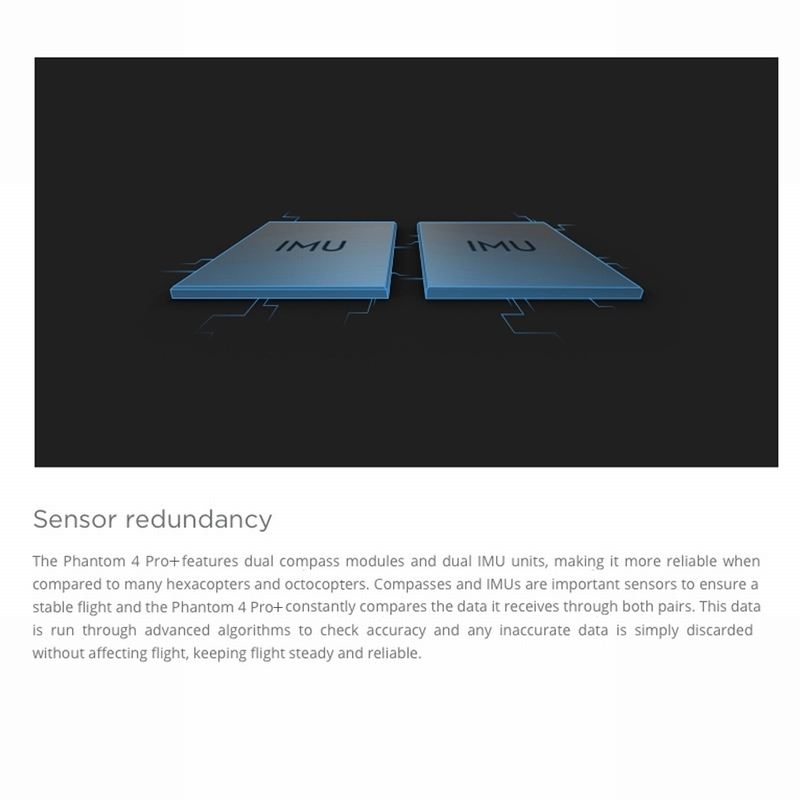 The adoption of titanium alloy and magnesium alloy construction increases the rigidity of the airframe and reduces weight, making the Phantom 4 Pro+ similar in weight to the Phantom 4. 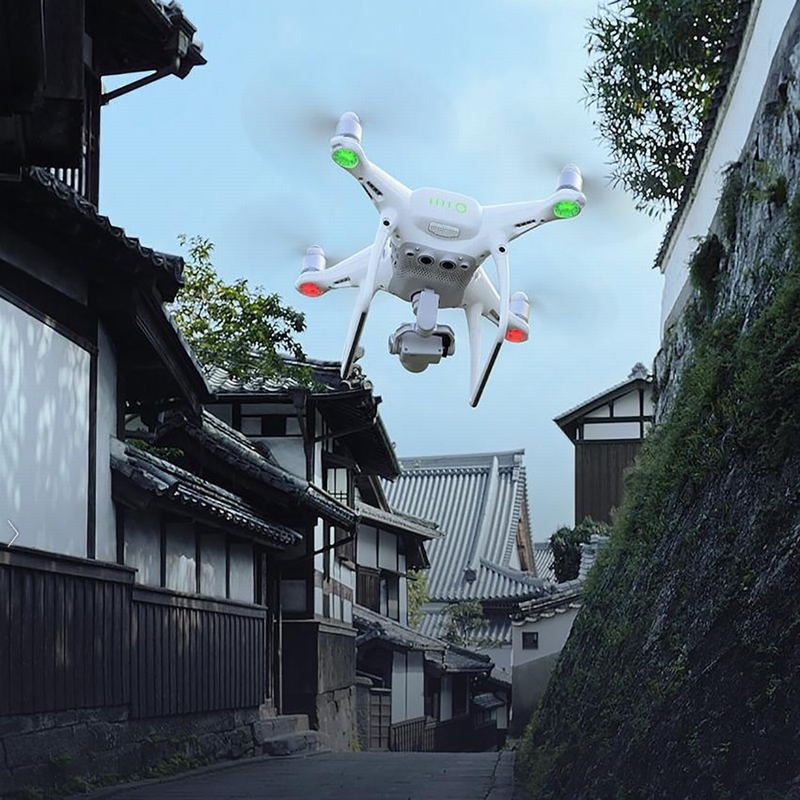 The Flight Autonomy system adds dual rear vision sensors and infrared sensing systems for a total of five-direction of obstacle sensing and four-directions of obstacle avoidance. 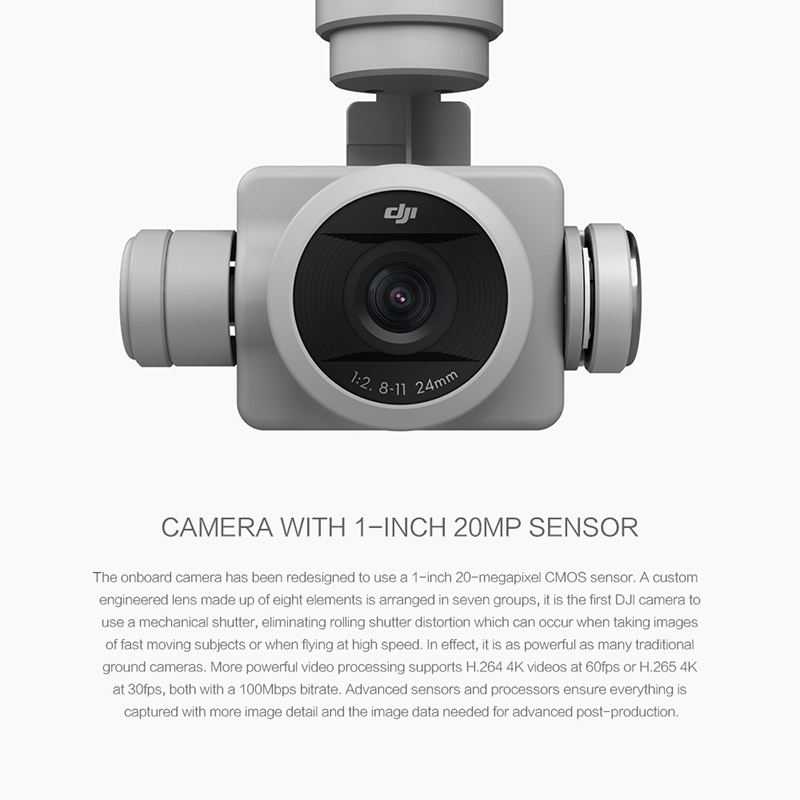 If you are looking for the best aerial camera platform on the market today then you’ve just found it, the Phantom 4 Pro+ by DJI. capable of shooting 4K/60fps video and Burst Mode stills at 14 fps.